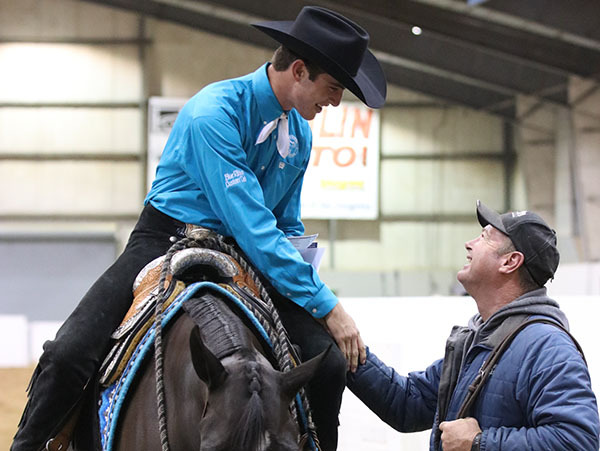 From early spring in Oklahoma City to the tail end of the year in Florida, AQHA members turned out in droves to support shows and circuits across the United States. Combined, the Top-10 AQHA shows saw an increase from the previous year, totaling 97,065 entries in 2017. Rankings were calculated by dividing the total number of entries for each event by the event’s total number of show numbers. “We want to congratulate the show management teams behind these top shows. 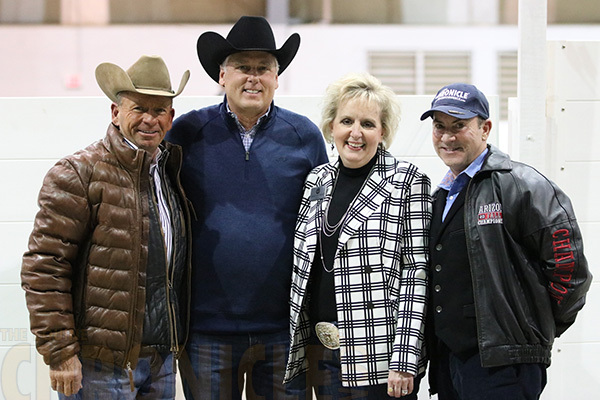 These teams work hard to provide exhibitor satisfaction and their dedication translated into their show being a major destination for competitors,” said AQHA Chief Show Officer Pete Kyle. Bobbi Smith, Dr. Scott Myers, Chris Cecil-Darnell, and Gordon Downey at the 2017 QH Congress. “It’s also exciting to look at this list of shows and see both the East and West coasts represented, with shows from up north and down south, spanning spring, summer, fall and winter,” Kyle added. Total AQHA show entries will be available to view in the 2017 AQHA Annual Report, which will be posted in March. Some Level 1 competitors will want to take a close look at the top-10 shows list. A Level 1 competitor can compete with a horse that he or she does not own; however, the top-10 shows/circuits require exhibitors to be the owner or related to the owner of the horse or have an AQHA show lease or permit. If the top-10 show does not allow permits, an AQHA show lease must be on file with AQHA. Go to www.aqha.com/formsto download a show lease.